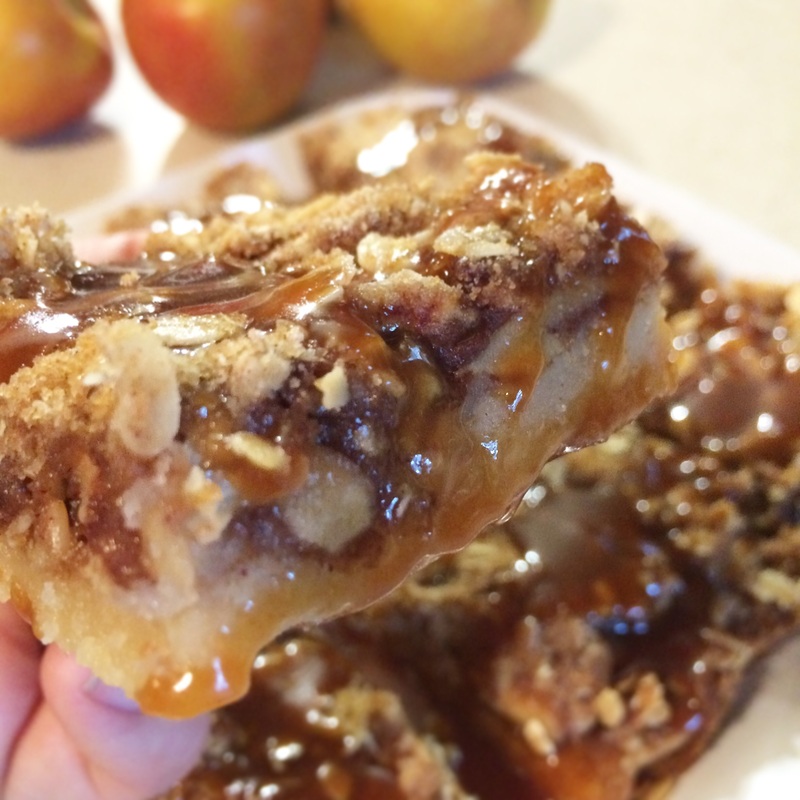 Say hello to these little slices of Heaven, recipe compliments of Sally’s Baking Addiction. and then you gotta go and add a SALTED CARAMEL topping? Oh me, oh my. Come to mama. The list looks a little daunting. Don’t be scared. It really was no big deal to whip up three batches of these beauties. I sent one over to our neighbor, Carol, who fell and broke her leg a few weeks back. I sent another one over to neighbor Harold, who if you read my blog last night, you know is one of the coolest old cats you could meet. The other one got snacked on by myself and the hubs before disappearing from my work break room this AM. Let’s get to it, shall we? Preheat the oven to 300. 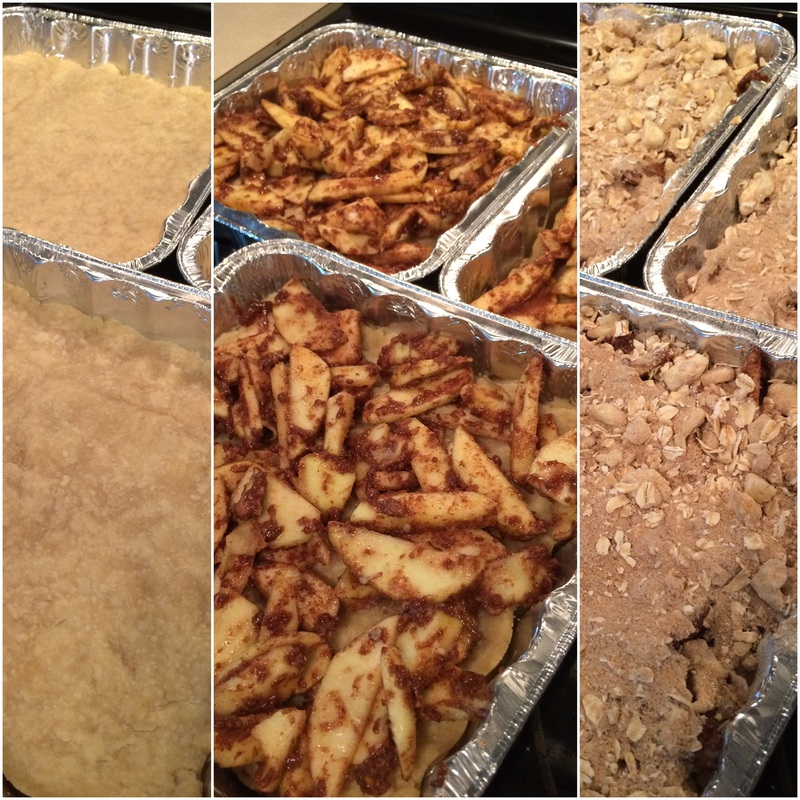 Grease an 8-inch baking pan and set aside. 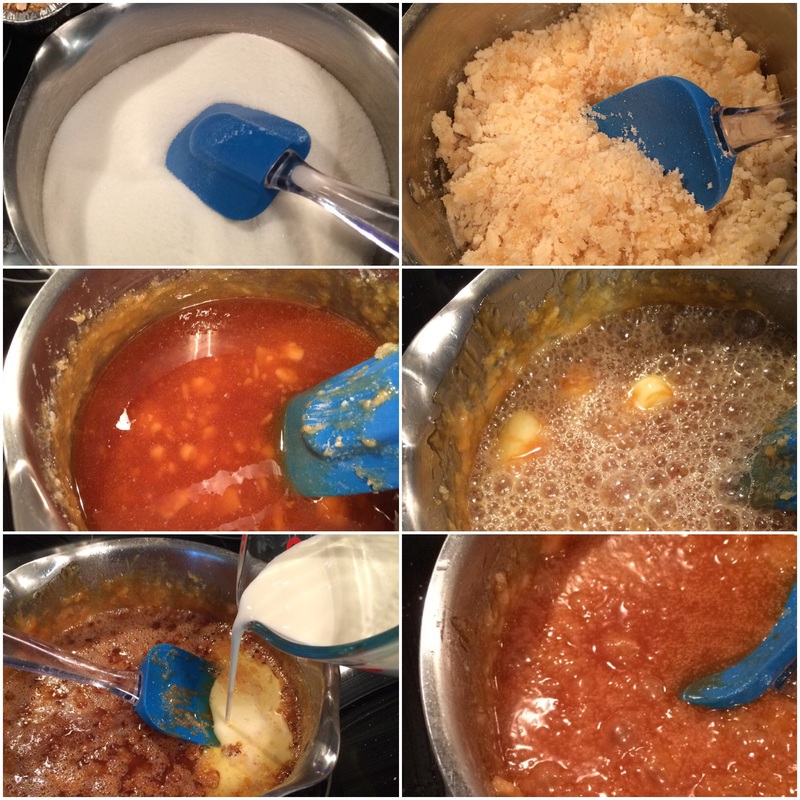 Crust: Stir the melted butter, granulated sugar, vanilla, and salt together in a medium bowl. Add the flour and stir until everything is combined. Press the mixture evenly into the prepared baking pan. Bake for 15 minutes while you prepare the filling and streusel. Apple filling: Combine the sliced apples, flour, granulated sugar, cinnamon, and nutmeg together in a large bowl until all of the apples are evenly coated. Set aside. 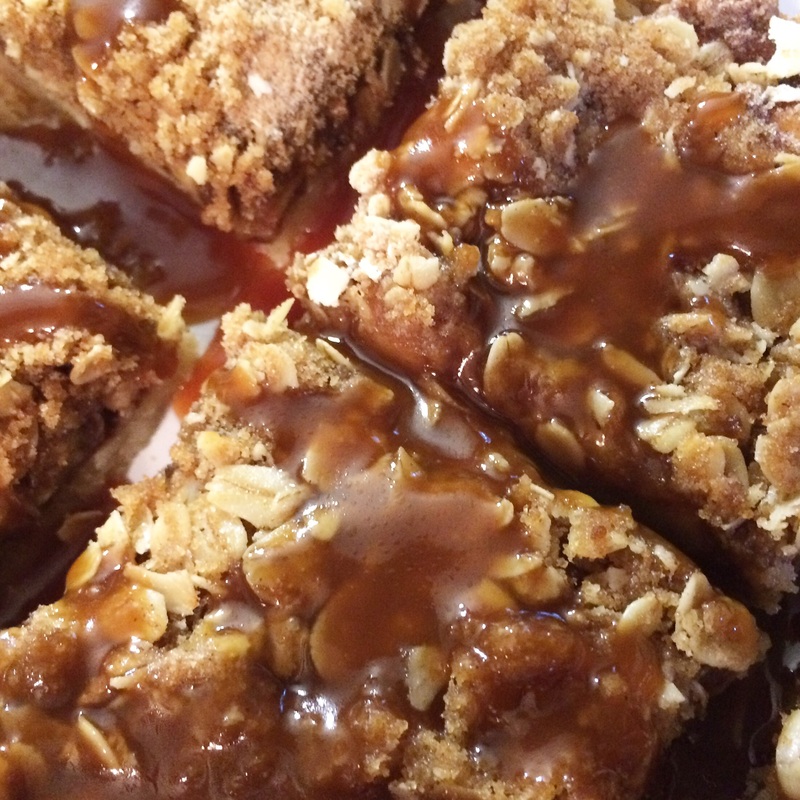 Streusel: Whisk the oats, brown sugar, cinnamon, and flour together in a medium bowl. Cut in the chilled butter with a pastry blender until the mixture resembles coarse crumbs. Set aside. Remove the crust from the oven, and turn the oven up to 350. Evenly layer the apples on top of the warm crust. 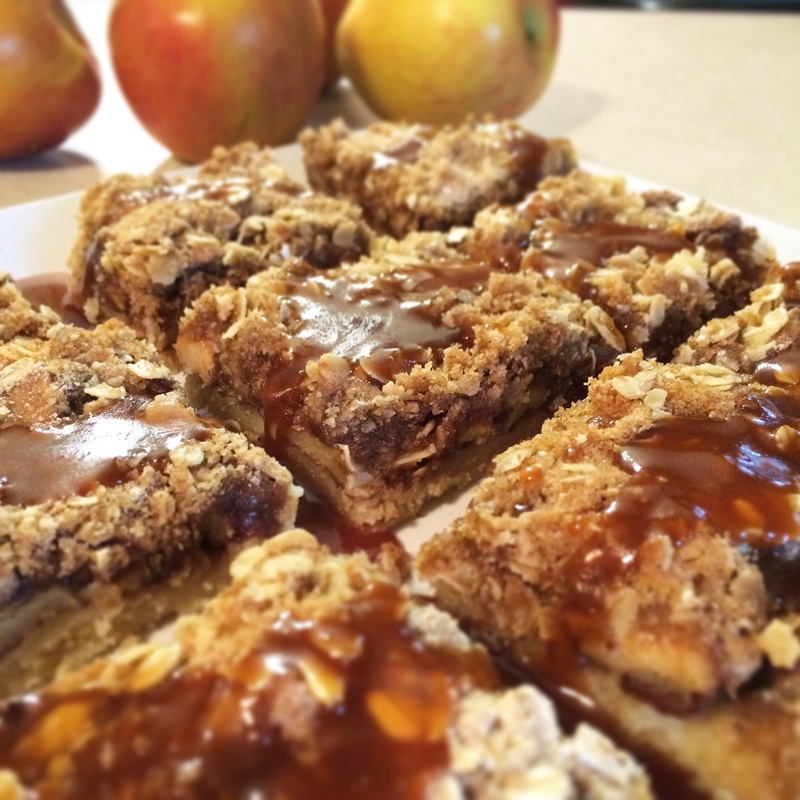 Sprinkle the apple layer with streusel and bake for 30–35 minutes or until the streusel is golden brown. Heat granulated sugar in a medium saucepan over medium heat, stirring constantly with a high heat resistant rubber spatula. Sugar will form clumps and eventually melt into a thick brown liquid as you continue to stir. Stir, stir, stir! Do not burn! Once sugar is completely melted, immediately add the butter. Watch out! The caramel will bubble rapidly when the butter is added. Stir the butter into the caramel until it is completely melted, about 2-3 minutes. Very slowly, drizzle in 1/2 cup of heavy cream while stirring. Again, watch out! Allow the mixture to boil for 1 minute. It will rise in the pan as it boils. Remove from heat and stir in 1 teaspoon of salt. Allow to cool down before using. 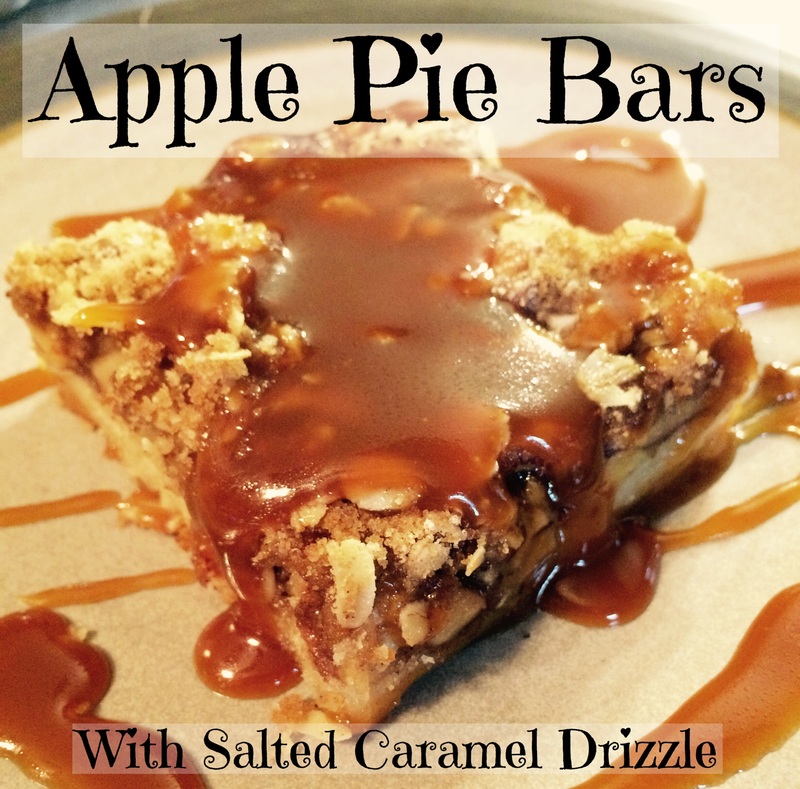 Once bars are cool, cut to desired size, pour cooled salted caramel sauce on top. 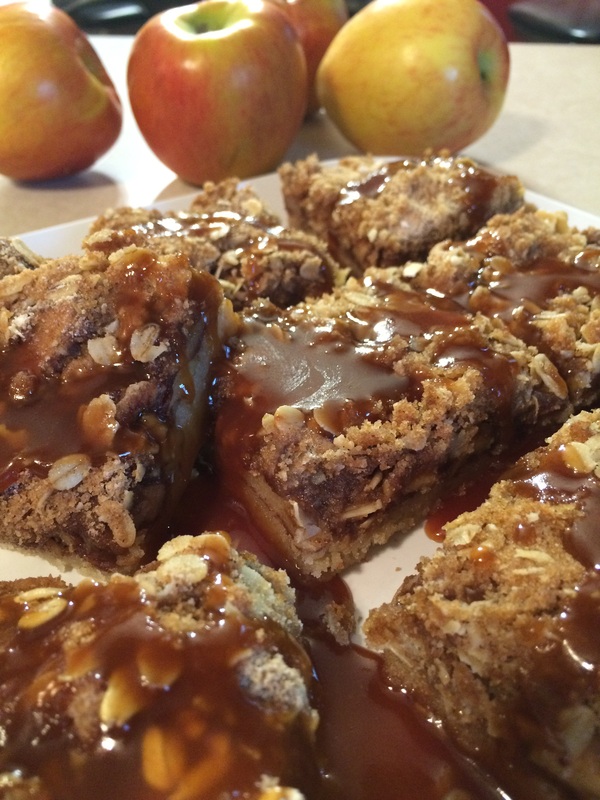 These apple pie bars can be enjoyed warm, at room temperature, or even cold.